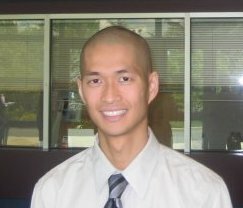 Dr. Pascual Chen, owner of Clarity Psychological Services, is a clinical psychologist, certified trauma therapist, and certified school psychologist in Pennsylvania. He went to Wheaton College, Illinois for his undergraduate degree in Psychology. He earned his Master of Science and Doctor of Psychology from Hofstra University in New York. His office is located in Wexford. Dr. Chen is a dedicated and compassionate clinical psychologist who provides therapy to individuals, couples, and families to promote quality of life and life satisfaction. He is passionate about what he does and loves working with people so that they can achieve a high level of life satisfaction, positive feelings, and fulfillment. He uses an integrative approach to therapy that incorporates a variety of therapeutic principles, philosophies, and techniques from the following treatment orientations: cognitive-behavioral therapy (CBT), solution-focused therapy, emotionally-focused therapy (EFT), Gottman method couples therapy, Imago Dialogue, humanistic therapy, mindfulness, and positive psychology. Dr. Chen has completed level 2 Training in Gottman method couples therapy and is working towards becoming a Certified Gottman Therapist. He is also a Certified Traumatologist (CT) by Green Cross and incorporates the ITR Model when working with people who have experienced trauma. Dr. Chen’s treatments are evidence-based, comprehensive, goal-directed, and specific to each person’s needs. Dr. Chen provides therapy to children (ages 11 and up), adolescents, and adults with various challenges, including, but not limited to mood disorders, trauma, anxiety disorders, obsessive-compulsive spectrum disorders, and childhood disorders. He also works with couples with relational or marital distress. Dr. Chen specializes in providing counseling within a Christian framework and is offered upon request. His special interests include depression, obsessive-compulsive disorder (OCD), generalized anxiety disorder (GAD), panic disorder, phobias, posttraumatic stress disorder (PTSD), adjustment disorders, anger management, marital conflict, couples counseling, and relational issues. Dr. Chen resides in Pittsburgh with his wife and three daughters. Although a native New Yorker, he is a Steeler’s fan, thanks to his wife who is from Pittsburgh. He is also an active member at a non-denominational church in Cranberry. Dr. Chen enjoys reading books on marriage, playing with his daughters, learning, traveling, and dancing. Contact Dr. Chen for a free phone consultation to see if he is a good fit for you. Please feel free to download a free mobile app offered by Clarity Psychological Services, LLC, called Clear to Thrive in the app stores. It is available on iOS (iPhones) and Android. Click here for more information about the app.